Kapilopadesha, the teaching of Lord Kapila to His mother Devahuti, appears in the Srimad Bhagavatam (3rd canto). Verses of deep significance to a adhyaatmic saadhaka appear in this teaching. 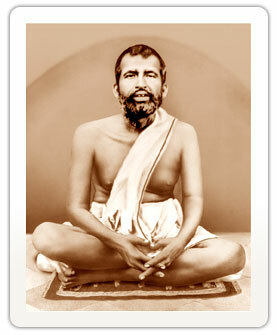 It is being wonderfully elaborated in Tamil by Swami Paramasukhananda of the Ramakrishna Math (Those who are interested may see – http://www.chennaimath.org/srimad-bhagavatam-lecture-series-tamil-swami-paramasukhananda-6335, and English lectures by the same Swamiji – http://www.chennaimath.org/lectures-in-english-swami-paramasukhananda-6356). Those who fail to understand that it is I alone who resides in all the heart of all living beings [and resort to murti-puja alone] are only engaged in a kind of puja-imitation but not real puja. Having known that I (Bhagavaan) have housed My Self in the living beings, one should worship Me in them by giving what is necessary to them, with respect, with love, and with the equanimous eye of wisdom that they are non-different from Me (and therefore one’s own Atman). The Bhagavad Gita too lists the different attitudes adopted by a saadhaka during daana (giving) and classifies giving according to this attitude as saatvika, raajasa and taamasa. The Bhagavata gives a even higher and more mature teaching with respect to giving. Swamiji has elaborated on this Bhagavata verse above, expounding on the message of Vedanta and how Sri Ramakrishna and Swami Vivekananda elevated this idea to practical service to humanity and other living beings. We take a point-based look at how to give, how to serve, with the above Vedantic understanding that the Lord alone appears as the world and is specially manifested in its living things. Giving as service to the Lord and not charity: A saadhaka should undertake giving as a service to the Lord, an act of worship, keeping in mind that the person accepting the daana is the Lord Himself come in that particular form, so as to give us the opportunity of making us humble and recognising Him in all forms of life. Giving what is necessary, not merely what one can: When giving, one must not merely give what one can, but give after having proactively found out what is necessary to that person in that situation. This is an important part of giving as a saadhana in Vedanta. For example, a hungry person must first be shared food with, one should not try to force education of any sort on him. In this way, one should see what the person needs and strive diligently to provide that. Giving should restore self-respect: The saadhaka who engages in daana should always take care not to insult the person accepting the daana. Instead one should reinforce the idea in oneself and in the other that it is the Lord Himself who is the only provider, and all others including oneself are only recipients of His grace. It is only a matter of praarabdha that one finds oneself as a giver and another as a recipient, but this is not a permanent fact. Physically respecting the person accepting the daana is a way of reinforcing this idea. Give with quality: The saadhaka should always seek to give anything with quality, not merely for the sake of disposing off something. If one is giving clothes, give new clothes. If one gives food, give quality food. One should strive to give materials of more quality, or at least the same, as one would want to have for oneself. Give with love: One should give with compassion, with love, with the feeling that the other person is not different from the Lord. “That very same Lord to whom one does worship, to whom one prostrates, to whom one asks of several things, to whom one associates all-power and all-greatness, the very same Lord is now appearing as this person who has come for accepting daana” – this attitude must be held by the saadhaka. Give with an understanding of unity with another: One should give with the feeling that the other is not different from oneself. To do this genuinely, the saadhaka must possess the divine knowledge that one’s real self is the Atman, the Lord Himself, who is devoid of name and forms and yet appears in several names and forms, including oneself and the other. Thus, in the Bhagavatam verse (3.29.27) given above, the Lord says – “Recognise Me, worship Me, engage with Me, in all living beings, with all these – maitrya (with kindness and friendship), abhinnena chakshushaa (with the eye of equality), daana-maanaabyaam (with offerings and respect)”. This is mentioned as a vidhi, as something to be followed, by everyone. There is no option otherwise if at all one wants to live an adhyaatmic life, a life which is oriented towards real security, peace and happiness for one and for all. In this saadhana, one has to begin with one’s one family. First look at the family members as manifestations of the Lord, and then expand one’s idea of the Lord towards everyone and everything in the universe. This is the message of Vedanta, re-established again and again by several teachers, including Bhagavaan Sri Ramakrishna, Mother Sri Sarada Devi, and Swami Vivekananda. These great beings serve as exemplars for all who wish to live a successful and healthy life in the memory of the Lord.